The 14 shades of Fenty Beauty’s MATTEMOISELLE lipsticks are officially out! Get one for every mood for a longwearing, petal-soft matte finish, available on FentyBeauty.com, Sephora.com and HarveyNichols.com. Head over to our Instagram.com/UltimateRihanna for a closer look of each shade, and visit our gallery for both model and product shots! Posted by An.J / Filed under: Fenty Beauty / Leave a comment? Thank you @wwd for this incredible honor! It's humbling to have @fentybeauty be recognized by the beauty industry in this way! I have to shout out my Kendo family for being top notch in this business and for taking your time to perfect each product! Glory is Yours Lord. Congratulations to Fenty Beauty for winning “Launch Of The Year” in the Prestige Sector at the WWD Beauty Inc Awards 2017! Check out Rihanna’s thank you note on instagram, using our edit! Posted by An.J / Filed under: Awards Nominations, Fenty Beauty / Leave a comment? The day is finally here – STUNNA lip paint has officially released in shade #Uncensored – a perfect universal red. Stunna is described as a weightless, 12-hour liquid lipstick with a soft matte finish—born in one head-turning red shade that looks incredible on all skin tones. When life’s all about taking risks, wearing red lipstick shouldn’t be one of them. Enter Stunna Lip Paint: The love child of high-impact color and low-maintenance long-wear in one head-turning red that’s got everyone’s name on it. It is, hands down, the perfect shade of red—hand-picked by Rihanna and obsessively tested to make sure it looks incredible on everyone. Equal parts class and sass, Stunna Lip Paint goes from zero to 100 in one stroke of its lip-defining precision wand, making it easier than ever to dress your lips in show-stopping, soft matte pigment. Its serious 12-hour hold is so weightless, if it weren’t for the non-stop compliments, you’d forget you were even wearing it. And if that weren’t enough—Stunna Lip Paint won’t feather, staying kissably smooth. In other words, it behaves so you don’t have to. Get yours on Fenty Beauty, Sephora or Harvey Nichols. Caught in the headlights for the cover of Dazed’s winter 2017 issue – out today – this is Rihanna after dark. Get your favorite Rihanna cover right here (or why not all of them?). Make sure to visit our gallery for the beautifully raw photoshoot. TIME – Rihanna’s make-up line, Fenty Beauty, has garnered rave reviews since its launch in September, both for its quality-to-affordability ratio and its emphasis on inclusivity. (It launched with 40 shades of foundation and an ad campaign featuring a diverse array of models.) Now that Fenty Beauty has been named one of TIME‘s 25 Best Inventions of 2017, we caught up with its superstar creator to talk about how and why she’s building a beauty empire, and what’s in store for the future. TIME: What’s your earliest memory of beauty? Rihanna: My lifelong obsession with makeup started with watching my mom put her makeup on. I always loved to watch her, and all the funny faces she was making in the mirror. I never understood it until I got older and fell in love with makeup myself and really started becoming obsessed. The first time I remember having my makeup done was for this beauty pageant that I did in school. I was 15, about to be 16, just before I got signed. I had my full face done for this pageant — my mom actually did my makeup. And ever since then, ever since I saw foundation on my skin, I could never look at my skin without foundation again. Makeup, it spoiled me. Why do you wear makeup now? What role does it play in your daily routine? Makeup is like a secret weapon. Depending on my mood, my look, or the occasion, makeup can go from very subtle to a complete transformation, and that’s the fun in makeup: being able to play and create in endless ways. You’ve said that you created this line so that all users could have a product that looked good on them, no matter the shade. Did you have difficulty in the past finding products that worked for you? And if so, how did you use that experience while creating your own line? I’ve had my makeup done thousands of time, and when it comes to foundation, you just never know how it’s going to turn out. I think foundation should look like great skin, so it was important to me that the Pro Filt’r foundation had a soft matte finish because you want a dewy look, but never shiny! It was also important that every woman felt included in this brand. 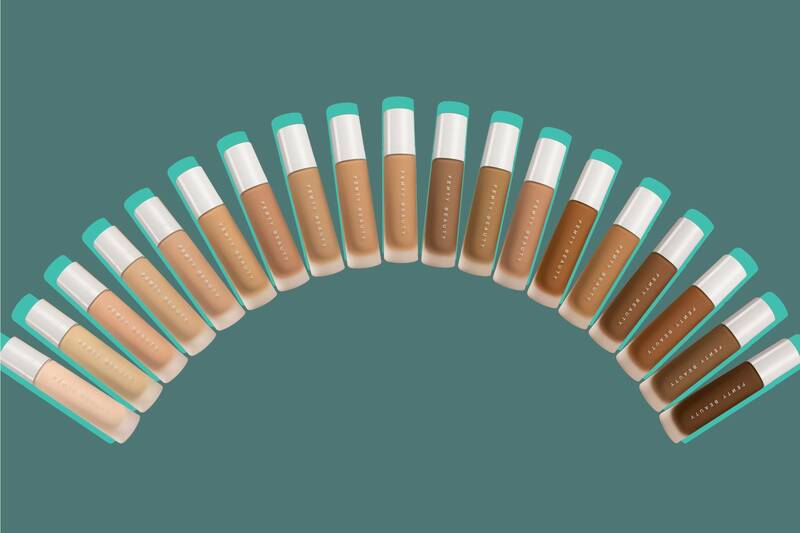 We are all so different, with our own unique skin tones, so we started with the 40 foundation shades out the gate. If you thought Fenty Beauty were done for this year, you were wrong. As Rihanna mentioned in previous interviews about her beauty brand, there’s a lot more in store. During this Thanksgiving Fenty Beauty’s very first lip paint will be released in red with its own shady name STUNNA. Look out for STUNNA in stores and online on November 23! When Rihanna’s new makeup line, Fenty Beauty, launched on September 8th, beauty lovers around the world went absolutely insane. From the yellow-gold highlighters to her range of 40 foundation shades and very Instagrammable packaging, there is truly something for everyone to swoon over — and thanks to the influencers and fans doing just that all over the internet, Rihanna is literally winning right now when it comes to the world of beauty. According to Tribe Dynamics‘ earned media value report for the month of September, Fenty Beauty recorded $72 million in earned media value during the month of September — its first month in existence — being beat only by cult-favorite brand Anastasia Beverly Hills, who reported $97.3 million in earned media value, and MAC, who reported $77.1 million. What does that mean, exactly? As Tribe Dynamics explains, “Earned Media Value (EMV) is Tribe Dynamics’ prescribed metric that quantifies the estimated value of publicity gained through digital earned media and their respective engagement levels.” In other words, it’s the value of the amount of publicity the brand received through Instagram, Youtube, Facebook, Twitter and blog posts combined. For reference, Fenty’s $72 million is $20 million more than NYX’s earned media value, followed by Benefit, which came in at $48.1 million, and Urban Decay which landed at $37.0 million. And thanks to support from influencers like Jeffree Starr, Nyma Tang and many more, Fenty’s EMV for YouTube content alone landed the brand in first place in that category with $10.6 million, and the same went for Twitter, with nearly a $5 million lead over other brands. The brand remained at third place in the Instagram category with a total of $41.9 million. 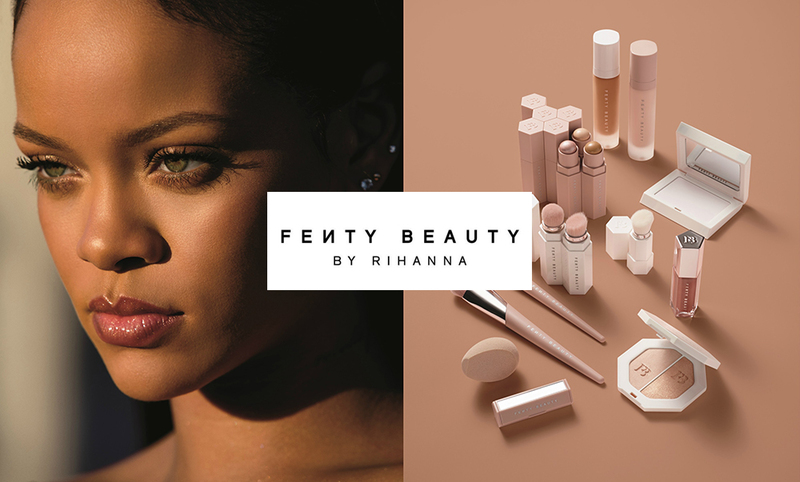 Posted by An.J / Filed under: Fenty Beauty, News / Leave a comment?